We are proud that over seventy percent of our childcare providers have provided us with feedback and are happy for us to use for marketing. We have been working with wrap-around childcare providers since 2011, when we first developed a bespoke on-line booking system for a childcare provided based in Devon that provides before and after school, breakfast club, holiday clubs for schools, academies, nurseries and childcare providers across the UK. Parents are now able to make booking on-line and make payments at the same time, which stops us having to chase outstanding payments. They are able to see what they have booked at any time and update their personal details as things change. The booking system enables the school to have instant access to the funds generated, In short it revolutionised the way we collect money and made it much easer for the school and parents. Not only has it [CoB] saved time in reducing administration hours, it has also provided the opportunity to increase business and therefore increase our turnover. We have started to implement the software [CoB] and parents have booked with us for holiday club this summer - and the difference has been amazing! Our parents love the idea of being able to book from the comfort of their own homes! Saved 58 hours back office administration! We launched COB in an attempt to save on back office administration processing and reduce the amount of bad debt. Despite the initial teething problems (not caused by the software [Cob] but parents not doing as asked) it has saved time, money and reduced the amount of bad payers. 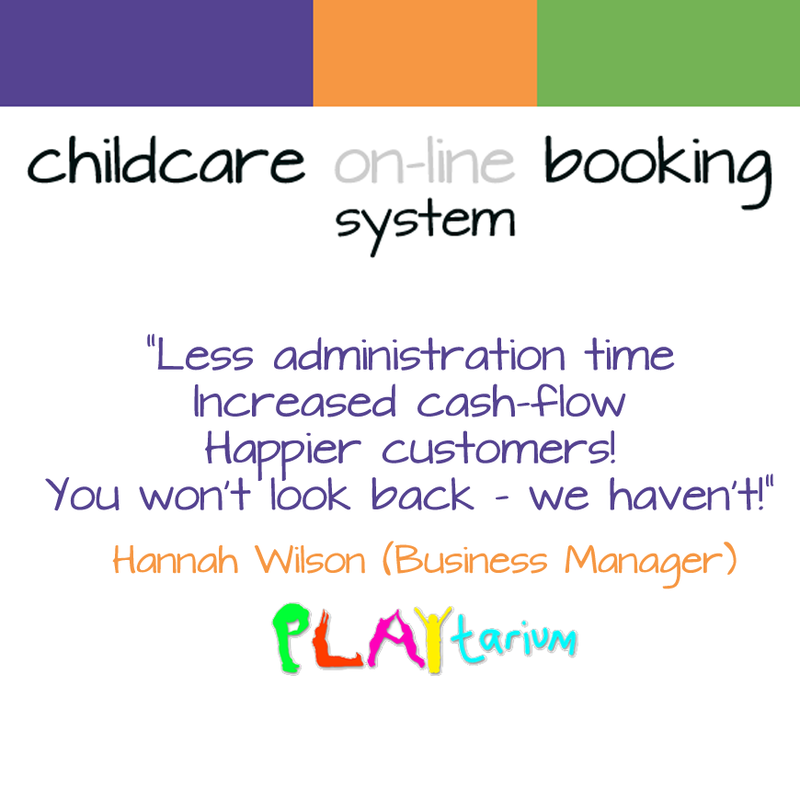 Parents love the flexibility the system offers and the fact they can see what they have booked and paid for. The support from Ayrmer Software has been amazing. They are always happy to help and find a solution to our unusual situations. I would recommend the system. 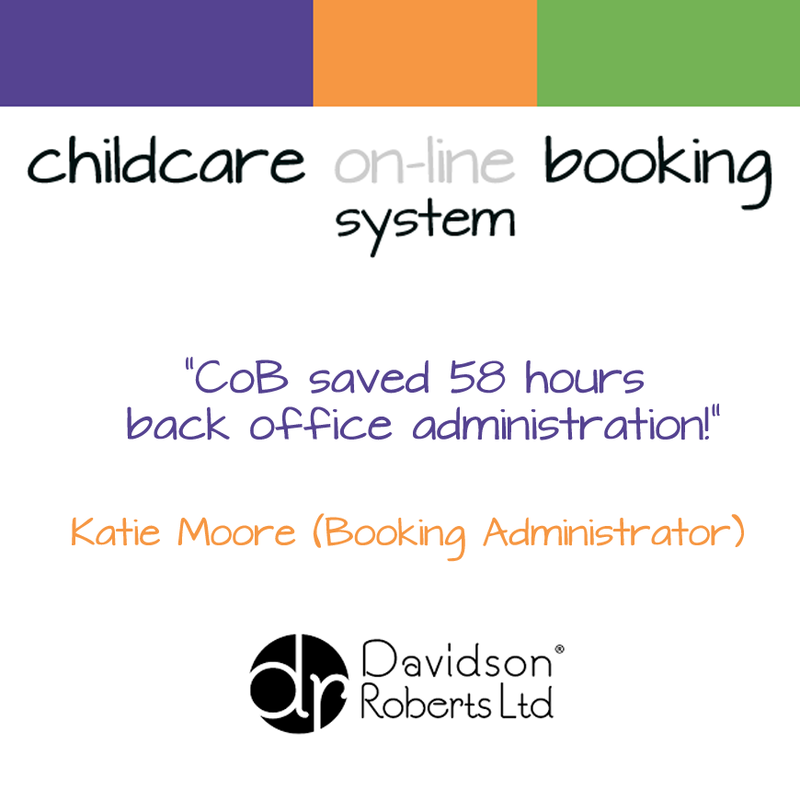 CoB reduced the workload by approximately 5 hours per week - we employed someone to book, invoice and collect income, which has now reduced to reconciling childcare vouchers only against COB which takes about 20 minutes. This has saved us about 150 per month in salary. Parents love the system, as it is so quick to book children into clubs with a few clicks. Ayrmer Software are very good at prompt replies to technical queries. 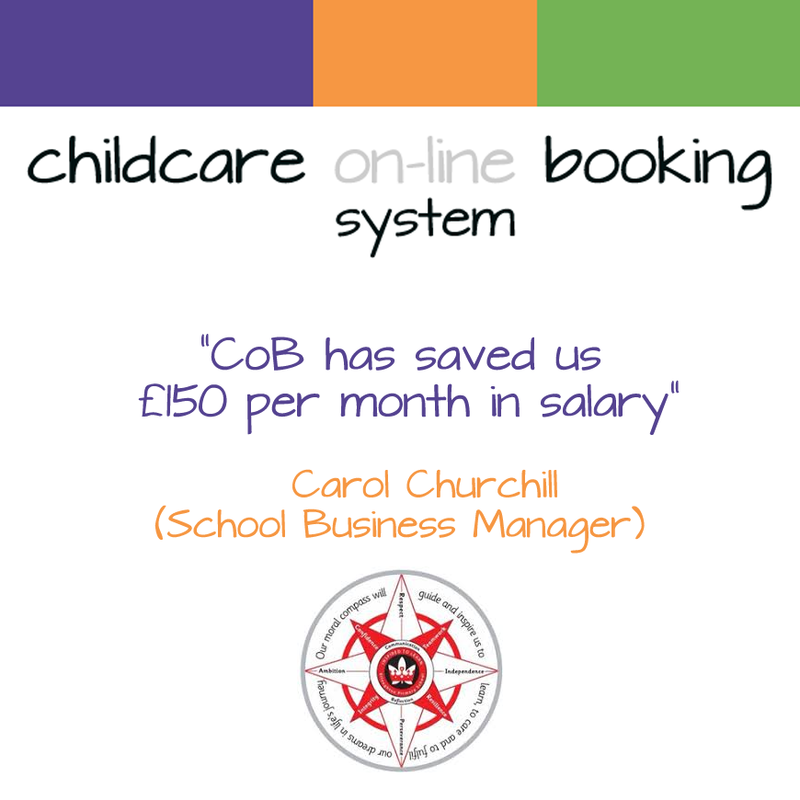 The Ayrmer Software's after school booking system [CoB] has been a fantastic tool for my business and I cannot recommend this highly enough. Less administration time - Increased cash-flow - Happier customers! You won't look back - we haven't! ... found CoB easy to use and cost effective, with the added bonus that our parents love it!! The best move I've made for my business. .... saving me the headache of all that administration! 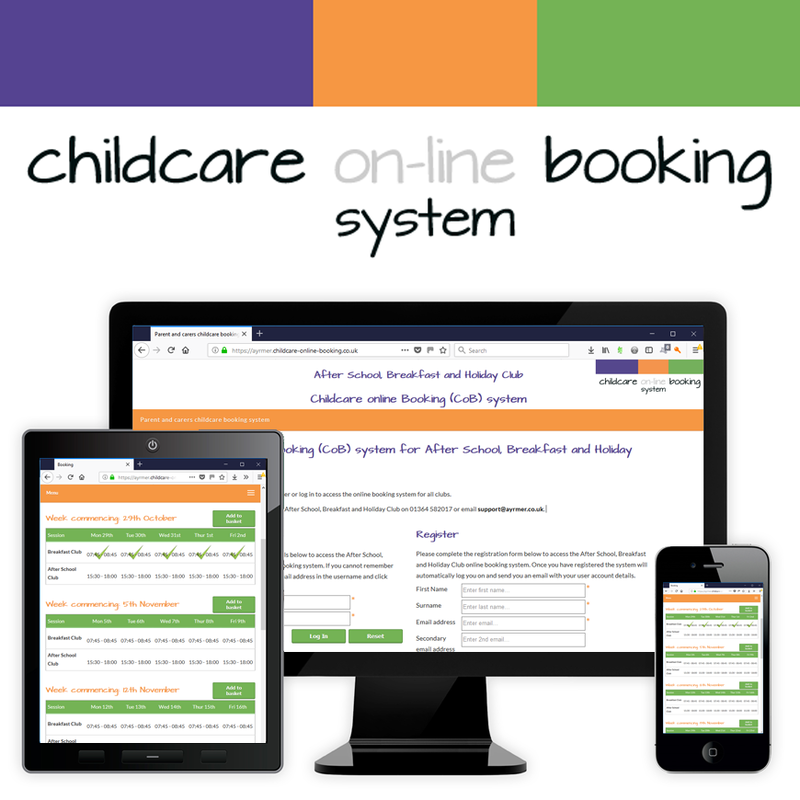 We highly recommend this on-line booking system, it has made our invoices, registers and general management of parent / child information so much easier. Invoices and registers are produced instantly and parents have control over their bookings and payments.